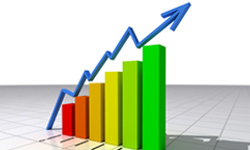 In the Internet marketing industry we talk a great deal about website conversion and usability. It usually starts with determining what the goal of your site is and then figuring out how to get people to attain that goal. 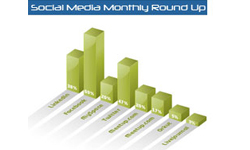 For most companies the goal of the website is either to generate a lead or to make a sales online. The things we can do to encourage people to fulfill the website goal is to ensure the content on the website is as ripe as possible. This is also referred to as a sales funnel. In the past, the process of getting people to achieve the goal of the website was one based upon opinion. For example, if the purpose for my site is to get the visitor to either fill out a form to generate a lead, I might try changing the content around in the top banner in different ways to see. This process would involve a great deal of trial and error. Over the last couple of years many of us in the industry have become aware of a new term called 'data driven decisions'. With tools like Google's website optimizer, we are able to split test different variables and let the data decide which site versions work best. How Simple Is Website Optimizer? Getting started with Website Optimizer is easy! The first thing you need to do is determine what the goal is. Then you determine what item you want to change on the website to improve this goal. In the example below, the goal of this e-commerce website is to sell product. The goal of this experiment was to get people to the actual product pages more often. The original version of the website used a flash based top banner to scroll through the different lines of product being offered. We decided to implement a new static banner which clearly showed the 4 major product lines as soon as the person visited the web page. 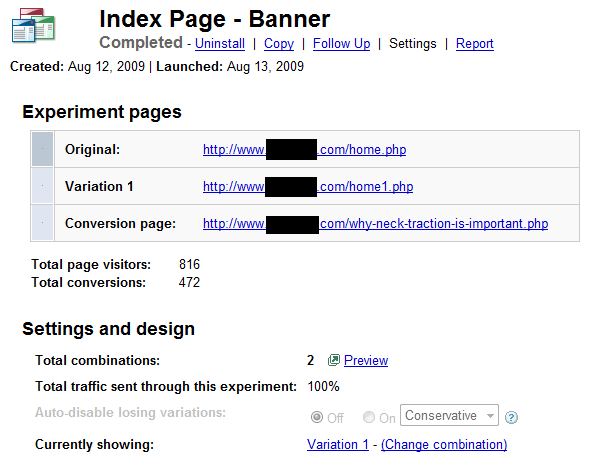 The setup screen of the experiment shows us the original version, the first variation and which page is being used as the successful conversion page. It also explains that there are 2 combinations being measured. 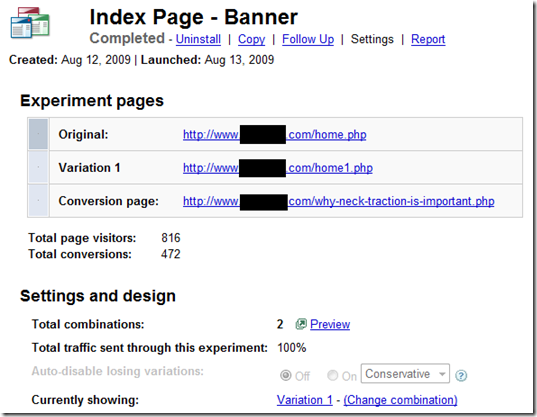 The conversion goal for the purpose of this experiment was to flow traffic through to the product pages at a higher rate than the original. This way more visitors would be looking at product pages from which they could make a purchase. Here was the original banner which consisted of a rotating flash banner displaying different product lines. The experiment we ran for the A/B test clearly listed all 4 product lines on the page from original page load. The thinking was that we did not want the visitor to have to figure out how to make the flash technology provide what they were looking for. Instead we would show the visitor exactly what the company had to offer immediately. You can see that we had these 2 versions running. Original vs Variation 1. In the first image below, it states that the first variation we created has a 98.4% chance of beating the 'Original' version. The image below describes the data which gave us the conclusion above. The original version converted 229 or 422 visits while the first variation converted 243 of 394 visitors. The first variation gave a 13.7% improvement! Once Website Optimizer determines there is enough data collected it actually tells the user which test wins. You are then free to begin running other experiments! Only change one variable! The tendency is to make a bunch of changes to a page. This makes it difficult to isolate what actually worked and also makes the actual experiment take much longer to complete. The general rule of thumb – the more traffic your website has the more variables you can test at one time. Have a clear goal that achieves something that is core to your business. What is the point of using your conversion goal is a page view to your 'about us' page if there is no business benefit from a visitor being sent there? Put your test front and center on your homepage or product page. Burying your test deep within your site will yield much less traffic and will then take longer time to complete. Keep your initial tests focused on action items rather than look and feel items. Focus on 'Buy Now', 'Schedule a Consultation' and funneling visitors to this end goal. Great Idea Now How Do I Get This Done? If you are like most people. The idea of running this type of testing sounds fabulous but actually digging in and administering to something like this is unrealistic. There are a handful of companies across North America that specialize in conducting Website Optimizer tests. For more information on this service feel free to contact us. 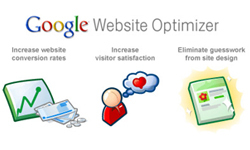 Website Optimizer is the most effective thing you can do to effect your online marketing. There is no cost associated to using the service and we always recommend ensuring you have a well built sales funnel before throwing money at expensive online campaigns. Once you are sure that your site is converting at a more reasonable level you can then have greater confidence in spending money driving relevant traffic to your website. A good walk through on using website optimizer. I was less aware of the internal mechanism involved in this Google service. Now I guess I am well acquainted with it. Interesting read! Thanks for sharing your real-time work experience here, something very few dare to do. I was a little reluctant to experiment with website optimizer but your write up triggers me to take a test drive.